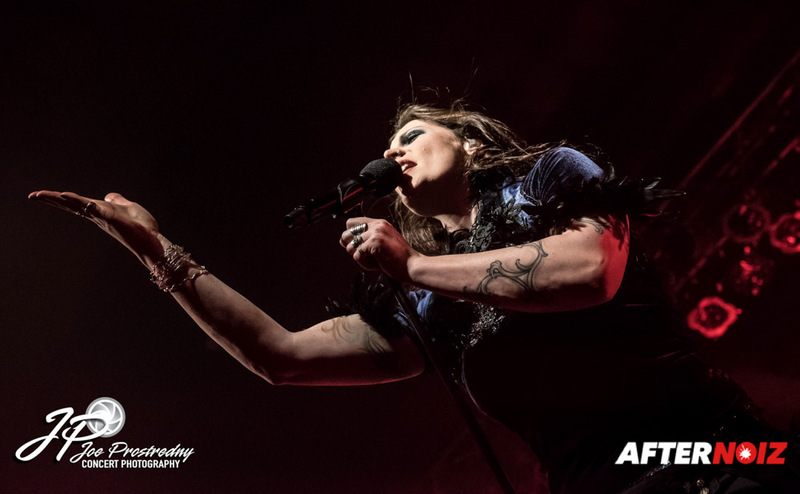 When Nightwish began touring their stunning new album “Endless Forms Most Beautiful” last year, North America was lucky enough to be early on their touring list and along with opening acts Delain and Sabaton, Nightwish gave us some incredible performances! Well, lightning struck twice for us on the west side of the Atlantic as it was announced just a few days after completion of last year’s tour that a second leg of North American touring was planned for early 2016. 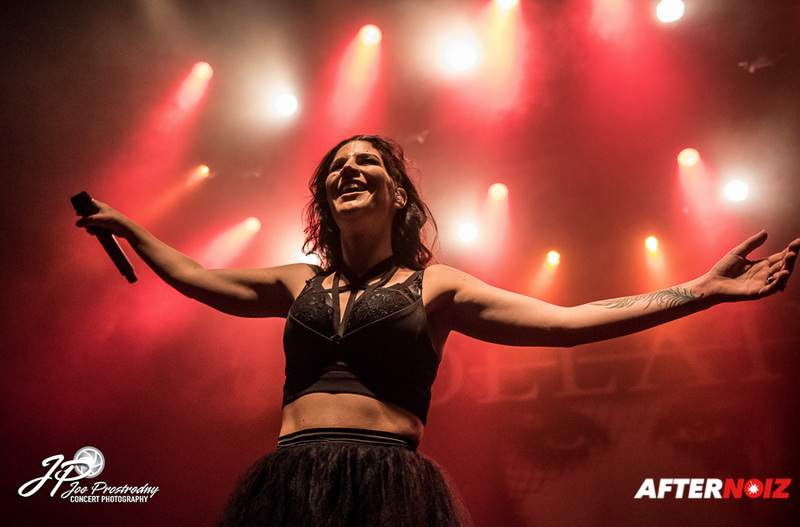 Delain would again be along for the ride (this time with their stunning new second guitarist Merel Bechtold). 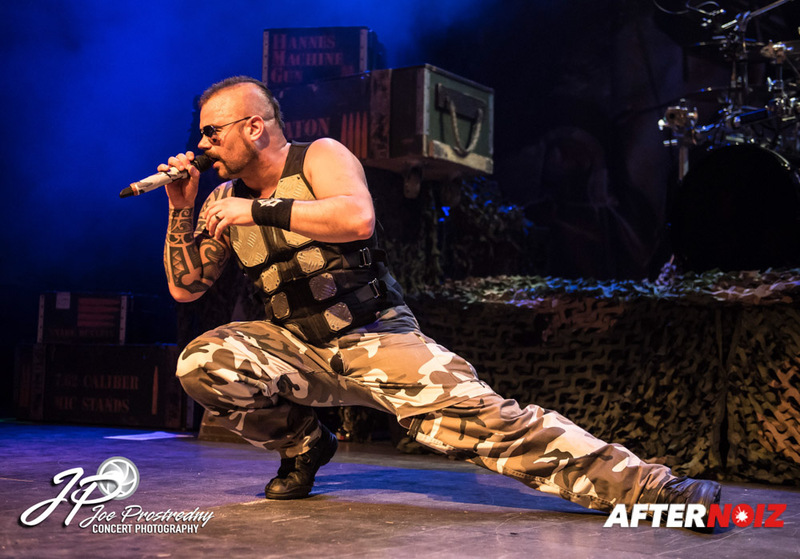 Sabaton’s slot was to be filled by Finnish melodic metalers, Sonata Artica! 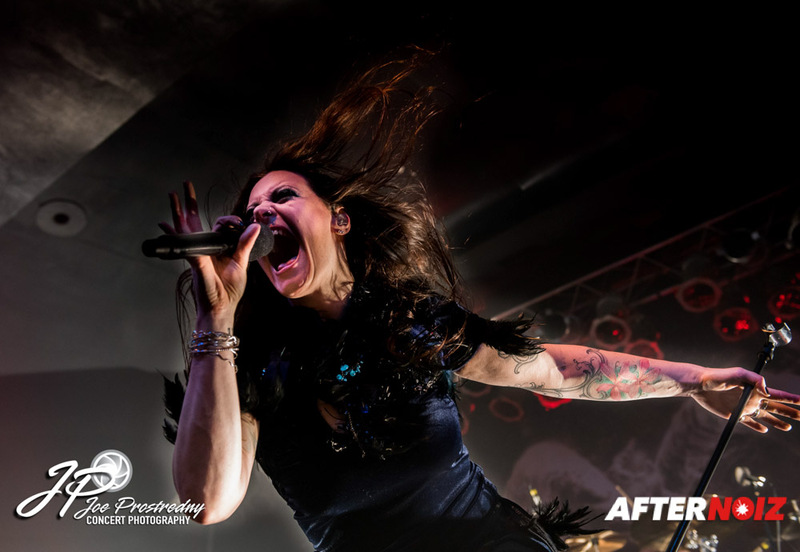 Delain and Nightwish are currently in my list of top 5 favorite bands, and I developed a love of Sonata Artica’s music and stage show two years ago when they did a North American headlining show with (coincidentally) Delain, and Xandria. There was no way I was going to miss this, so I made plans to hit the first two shows of the tour. 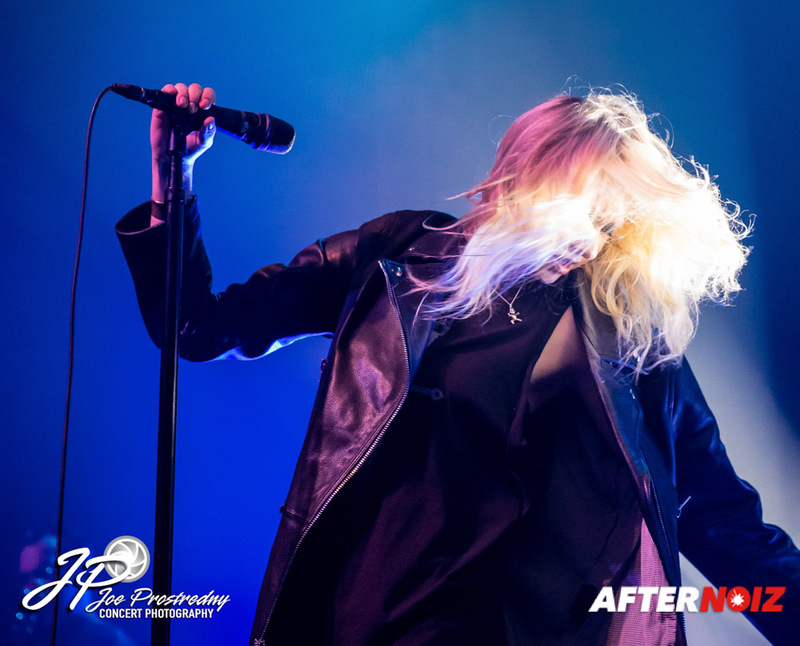 The first show was at the Starland Ballroom in Sayreville, NJ; the second show was at The Webster in Hartford Connecticut. Both venues were moderately large club type venues with mostly standing room with a couple dozen stools near the bars. Both had decent acoustics, but the sound was better at the Starland. 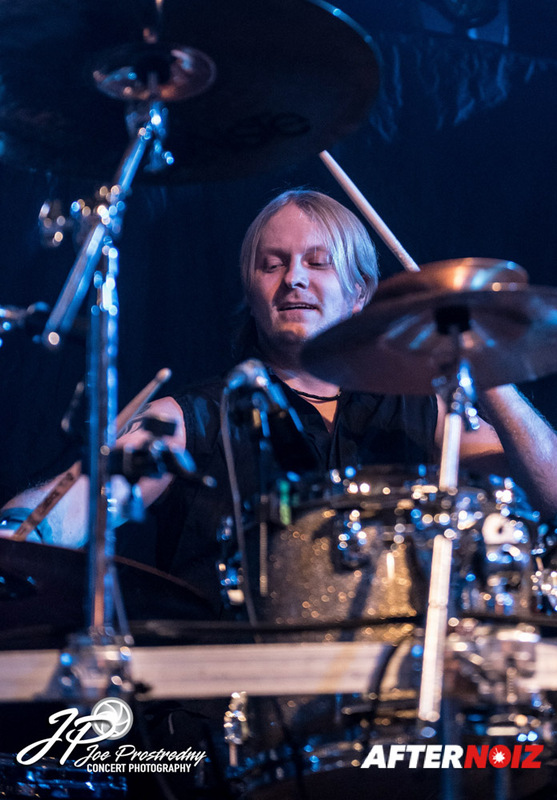 Nightwish’s popularity has been on a steady rise in North America and they have been filling larger and larger venues. 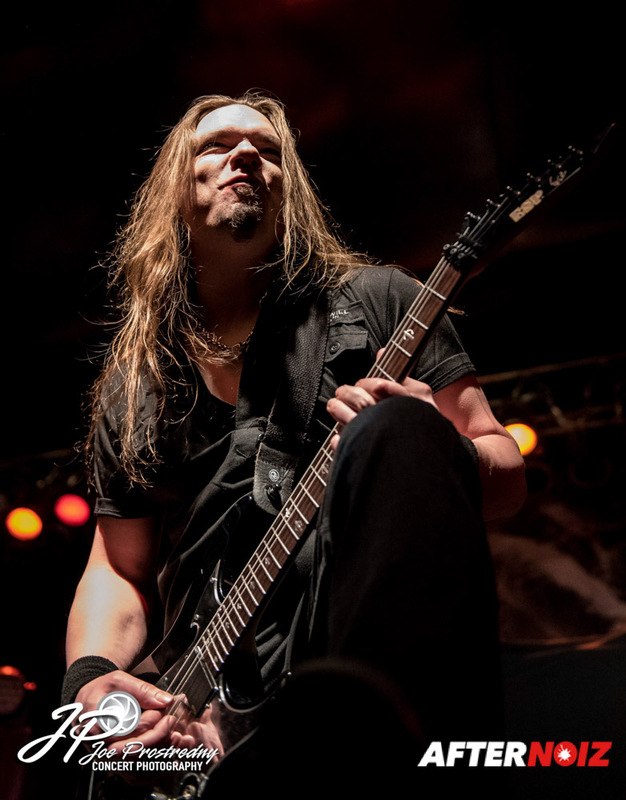 The first several shows of this tour have been sold out… but in my opinion, these venues were oversold! Now… I get it. Club shows are supposed to be crowded and you can forget your personal space… but the crowding in these two venues was extreme. It was so crowded it was difficult to move, and for those people toward the back, difficult to see. At the Starland, a large percentage of the people in the back actually watched the show on a large mirror above the rear bar because there was such a poor view of the stage. Dozens of people at both venues were so uncomfortable with the crush of the crowd that they left the main floor and hung out in the lobbies where they could still hear the concerts, be not watch. But, venue, issues aside, the shows were both phenomenal! Delain was the first opening band and came out with what was supposed to be an 8 song set (2 songs longer than their set on last year’s tour). 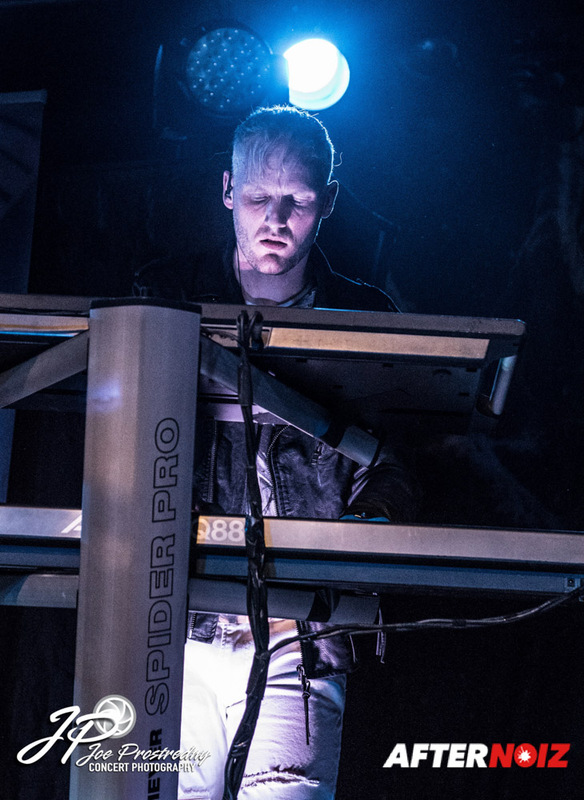 The set list contained both of their stunning new songs from their recent “Lunar Prelude” album: “Sucker Punch” and “Turn the Lights Out”. Both songs sound incredible live! 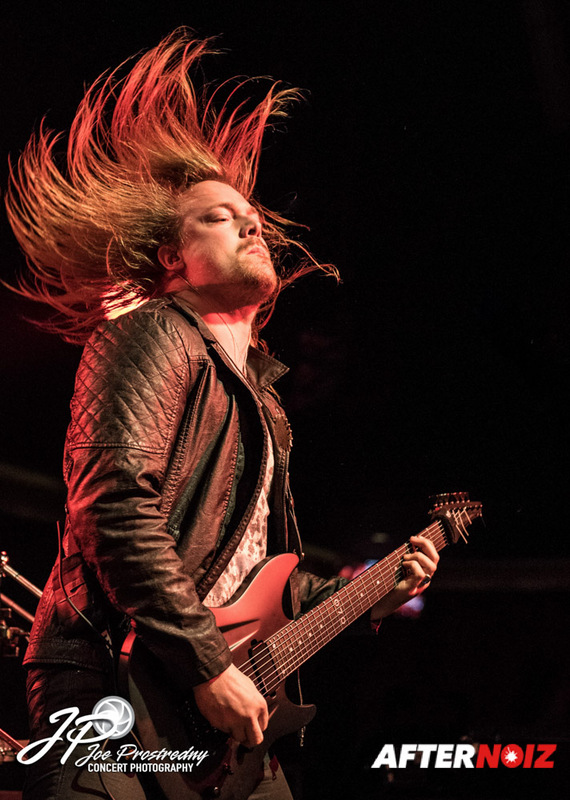 Unfortunately, due to what I assume were typical opening night issues, the first show started late and Delain was forced to drop “Turn the Lights Out” from the set at the Starland. 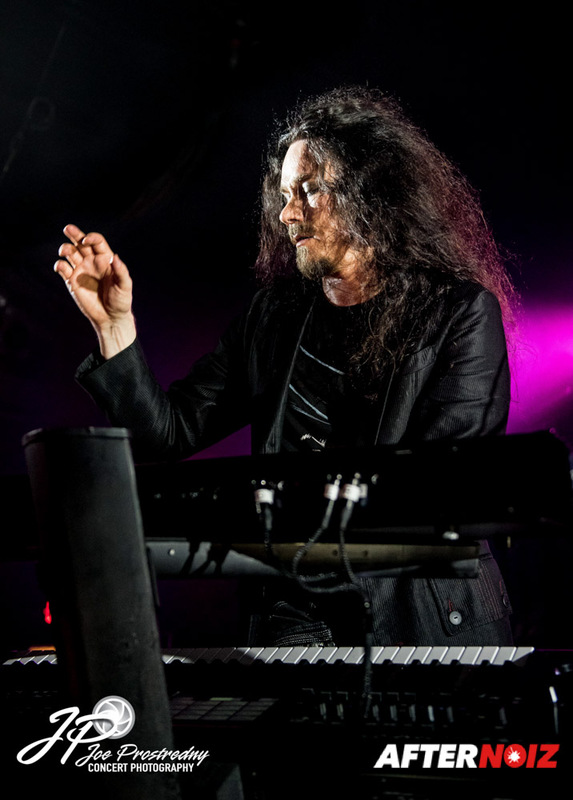 Additional songs played included fan favorites “Get the Devil Out of Me”, “Sleepwalkers Dream”, “Army of Dolls”, “We are the Others”, and Don’t Let Go”. They closed with the apropos, “Not Enough” both nights. 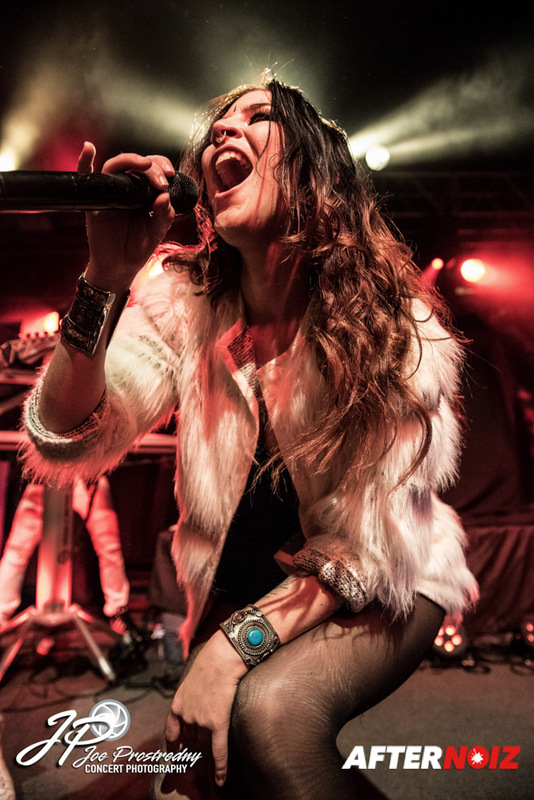 Delain was at their energetic best both nights. I keep saying this… time and time again… but I’ve never seen them put on a bad show (and I’m up to 16 now!). 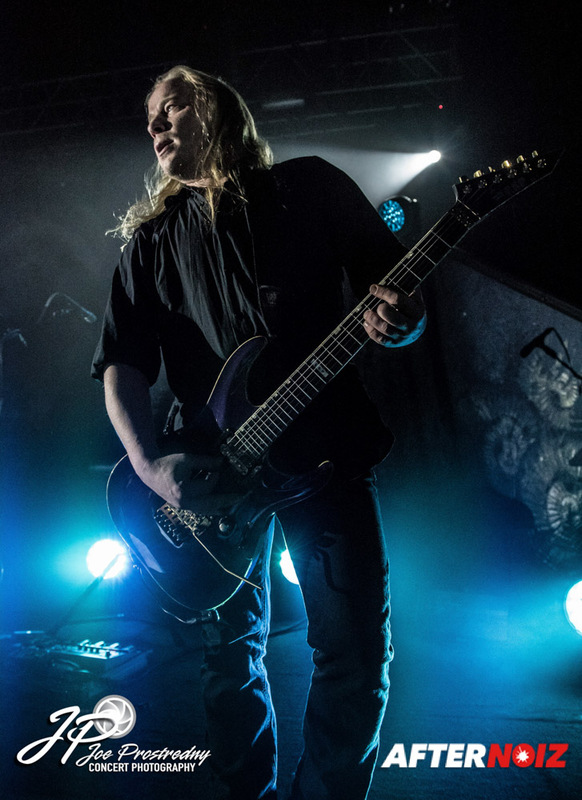 This tour was a special treat for North American Delain fans as, for most, this was their first chance to see them perform with Merel Bechtold! 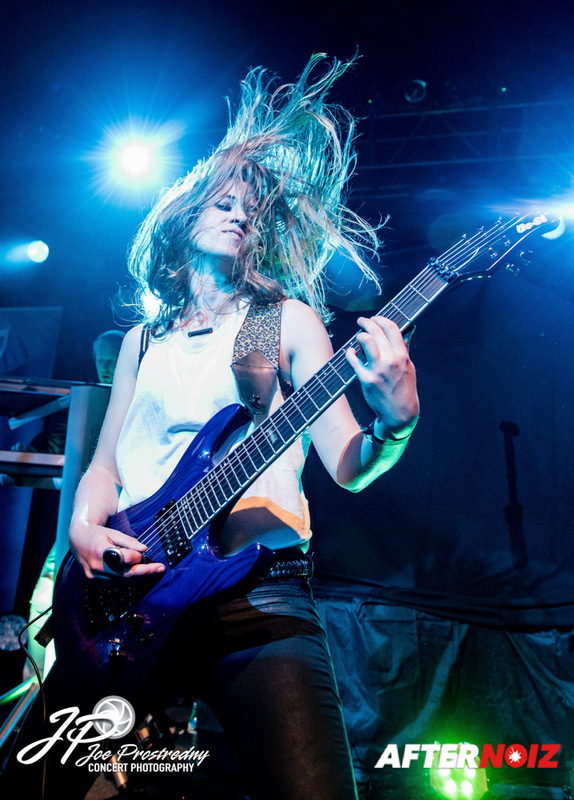 Merel has been touring with Delain off and on in Europe for over a year, but was only announced as an official second guitarist last fall, due to her previous commitments to other bands. 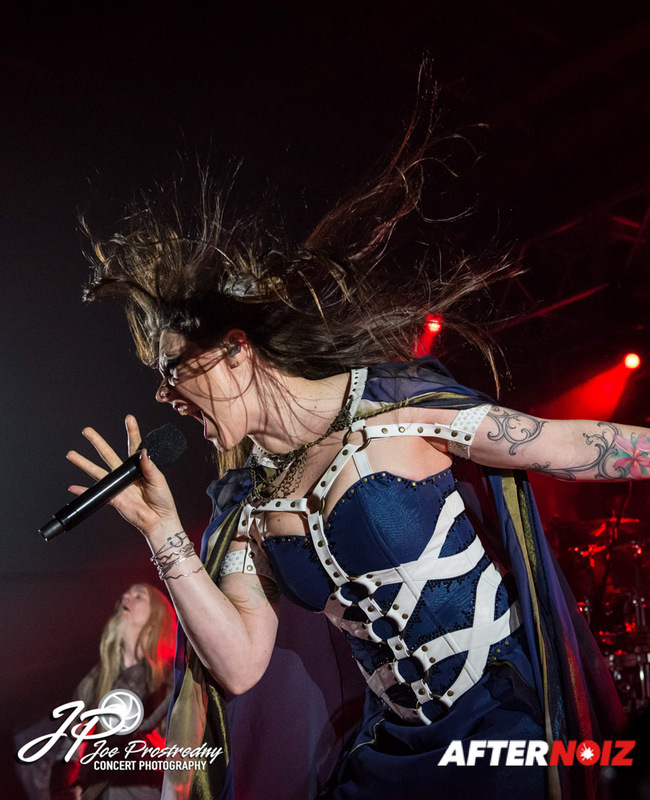 I’ve seen her perform with Delain several times in Europe and recently on the 70000 Tons of Metal cruise and she adds great energy to the show, both visually and musically. 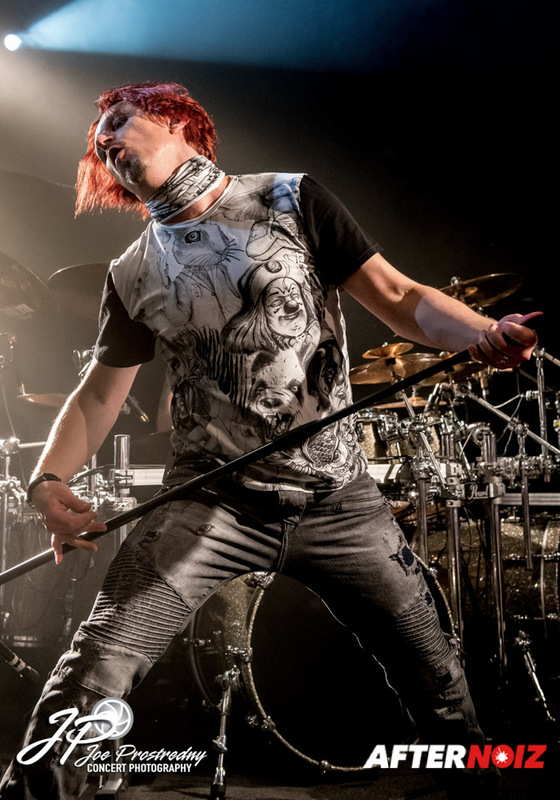 The one disappointment is that Delain is currently touring without their bass player Otto, who is currently on paternity leave. Otto has a ton of stage presence and his absence was quite noticeable, especially since there was no replacement bass player (bass tracks courtesy of Mac Book Pro on this tour). 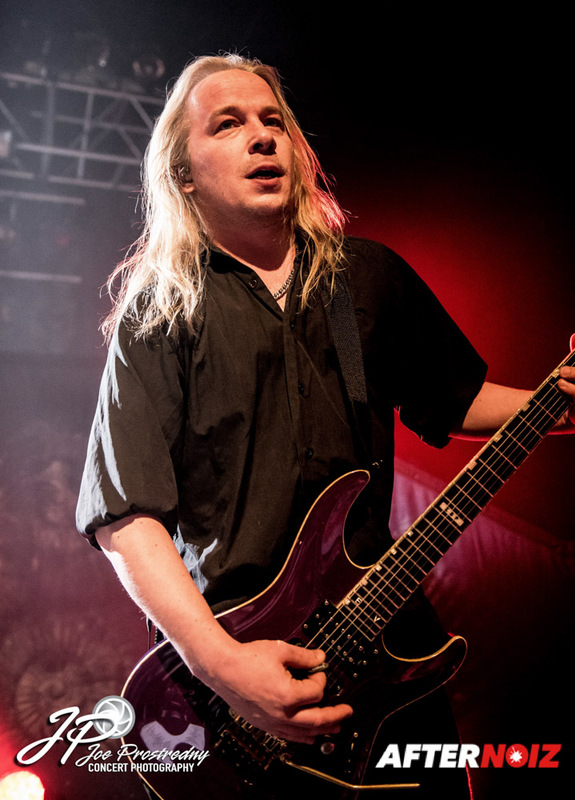 But we certainly wish Otto well, and can’t wait for him to be back on the next tour! 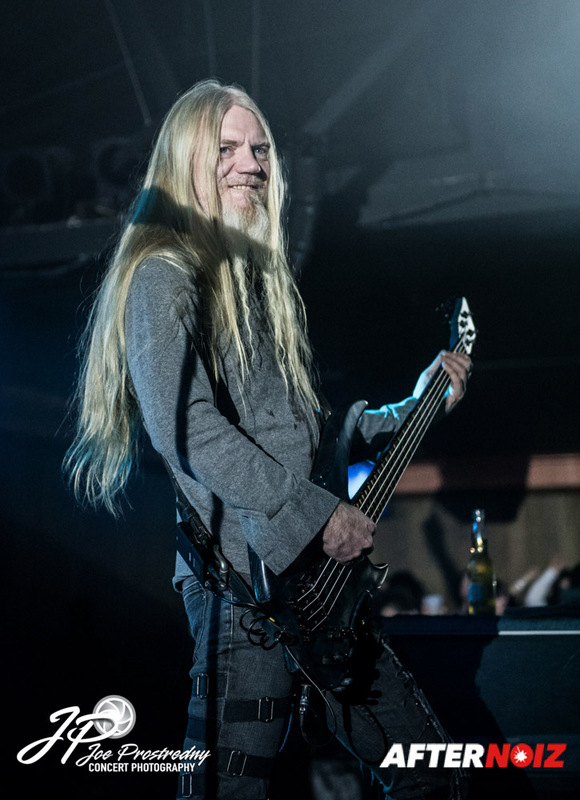 Unlike the last tour, there were also no duets with Nightwish’s Marco Hietala, who has performed guest vocals on most of Delain’s studio albums. However, I did hear from a reliable source that duets may occur at later dates on the tour. Direct support was provided by Sonata Artica. They had a seven song set, but their set seemed longer than Delain’s, presumably due to the length of the songs. The first three songs were the same both nights and included “The Wolves Die Young”, “My Land”, and “8th Commandment”. The fourth song was “Last Drop Falls” on the first night, but was switched to “Tallulah” on the second night. The final three songs, “Full Moon”, “I Have a Right”, and “Don’t Say a Word” remained the same both nights. I had a better appreciation for this band since I was introduced to them on their last tour. Their music was great and they put on a very entertaining show. 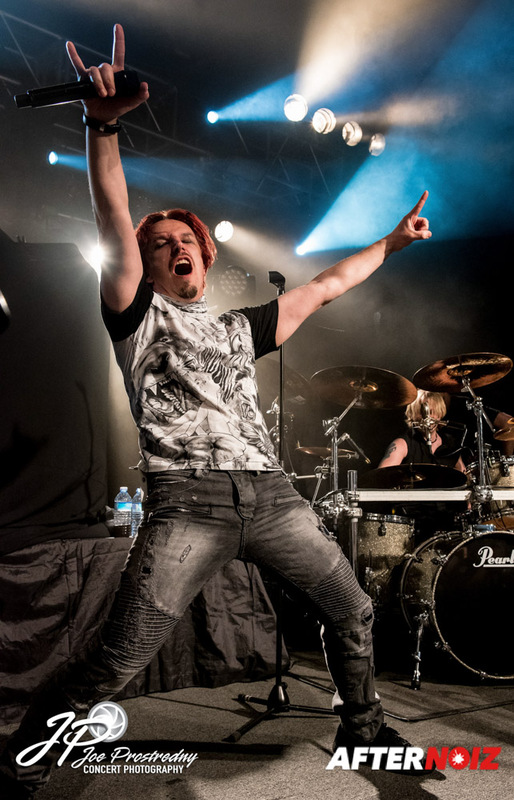 Like Delain before them, this band really looks like they have a lot of fun with each other on stage which just added to the overall positive energy of the show. There was lots of crowd interaction and sing-a-longs. And the guitar riffs were awesome! 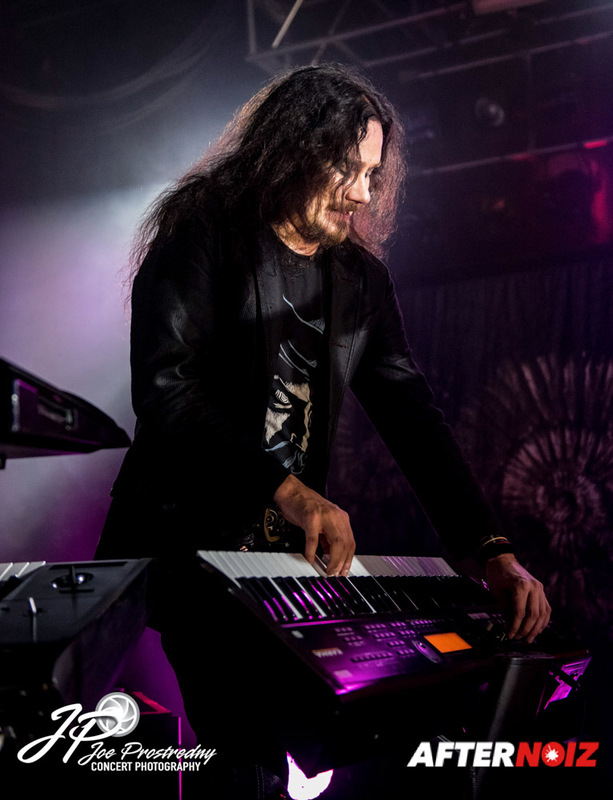 Sonata Artica is doing a headlining North American Tour (with Delain opening) immediately after completion of the Nightwish tour… and I for one, will definitely be there! 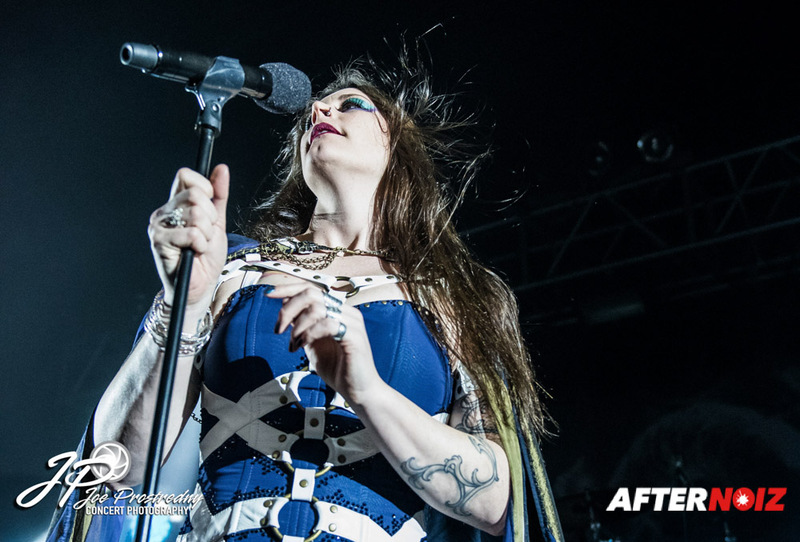 Finally, it was time for the mighty Nightwish, and the show was flawless symphonic metal perfection. 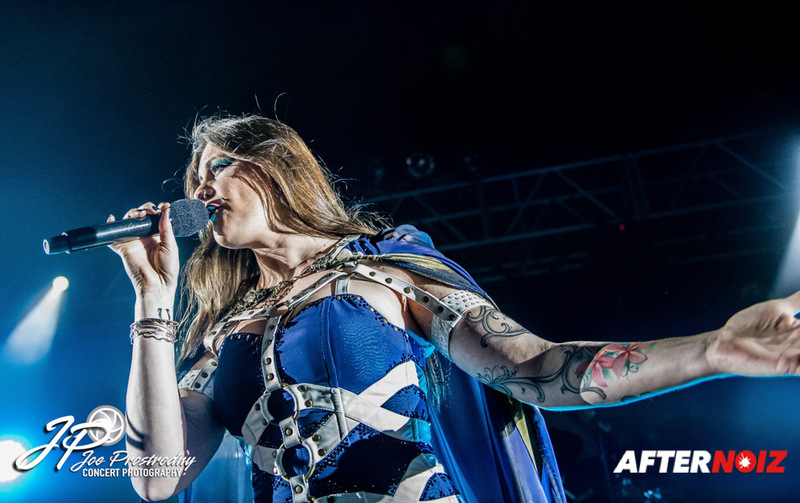 Vocalist Floor Jansen seemed to be in top form both nights despite the fact that she was apparently sick enough that they almost cancelled the pre show fan meet and greet on the second night. Their set was very similar to last year’s tour and was identical both nights. 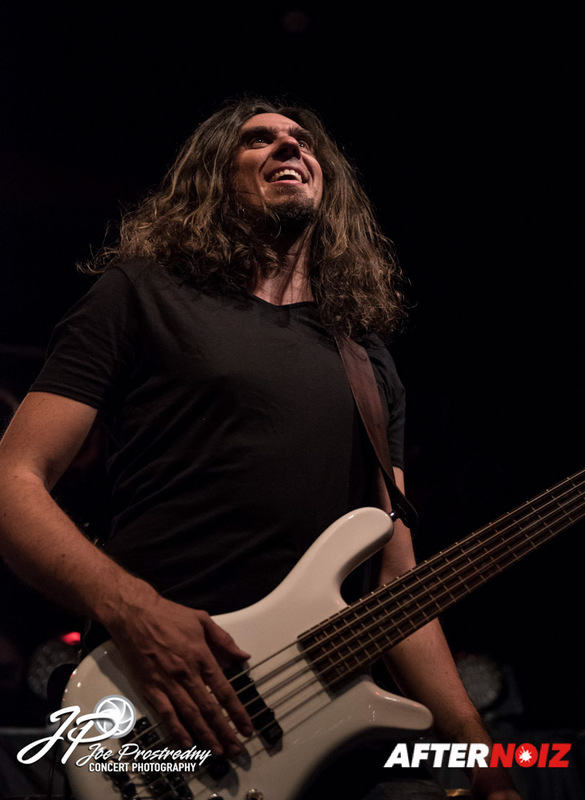 I did hear directly from the bass player, Marco, that they would be mixing the set list up as the tour progressed (see my upcoming interview on Afternoiz.com). Nightwish’s stage show was more stripped down (less props) than it was last year, but this was hardly noticeable due to the fantastic live performance. 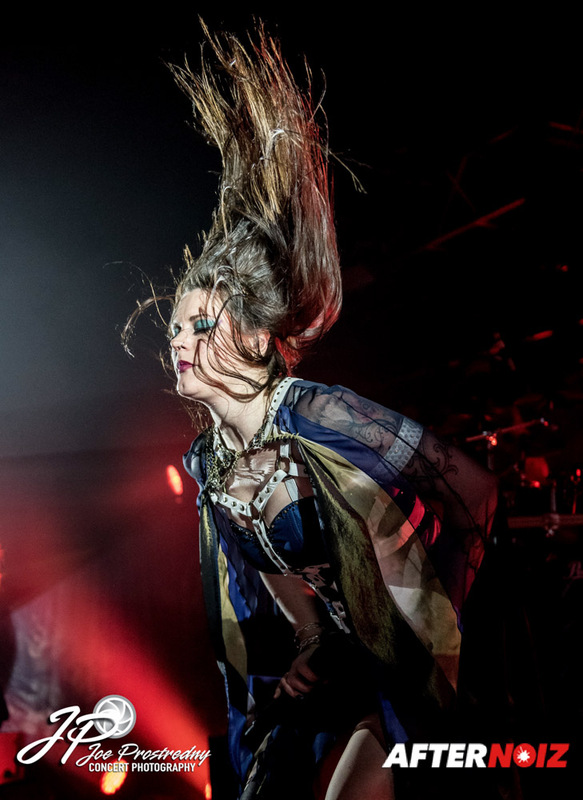 The show began with the first two songs from their new album, “Shudder before the Beautiful” and “Yours is an Empty Hope”. Additional songs from the new album included: “My Walden”, “Élan”, and “Weak Fantasy”. I was definitely disappointed that “Endless Forms Most Beautiful” and “Alpenglow” were dropped from the set, but I do realize they can’t play them all. 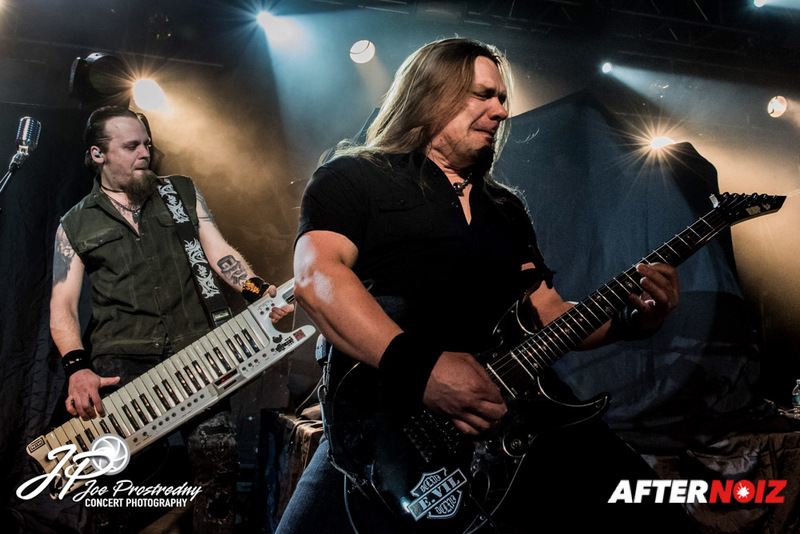 “Storytime”, “I Want My Tears Back” and “Last Ride of the Day” represented their previous album, “Imaginarum”. 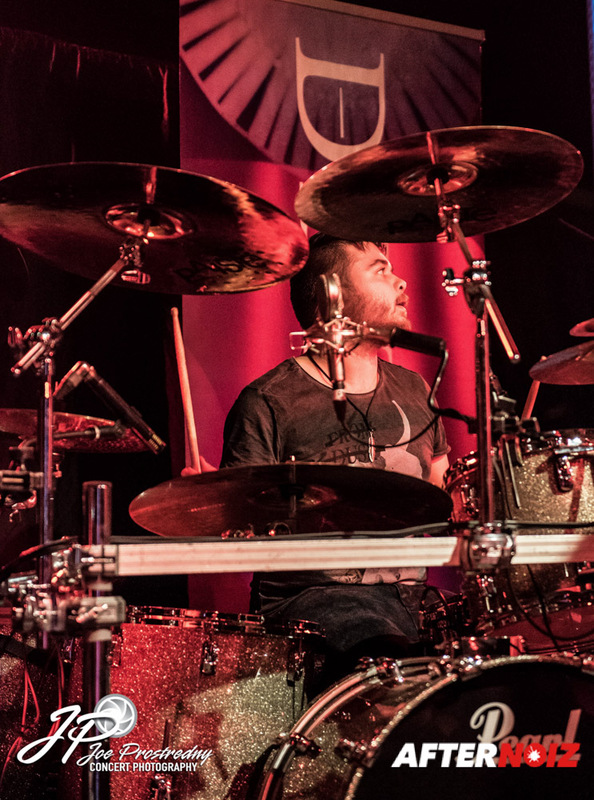 Fan favorite “Amaranth” was dropped from this year’s set but was replaced by “Nemo”, another favorite that was noticeably missing from last year’s tour. Although I missed “Amaranth”, I was thrilled to hear the album version “Nemo” as all of the previous times I’ve seen it performed were a stripped down acoustic version during the “Imaginarum” tour. “While Your Lips are Still Red” and “7 Days to the Wolves” rounded out the songs from the more recent albums. Older favorites included “She is My Sin”, Stargazers”, and “Ever Dream”, the latter two of which spawned exuberant screams from the crowds. As with most fans, my favorite song of the night was “Ghost Love Score”. Floor is just flawless when she sings this song and after hearing it live five times now, I still get goose bumps and tears in my eyes. It is just… that Good! There was no real encore, and following “Ghost Love Score” and “Last Ride of the Day”, the show flowed right into the final song: Chapters II and III from the Magnum Opus, “The Greatest Show on Earth”. 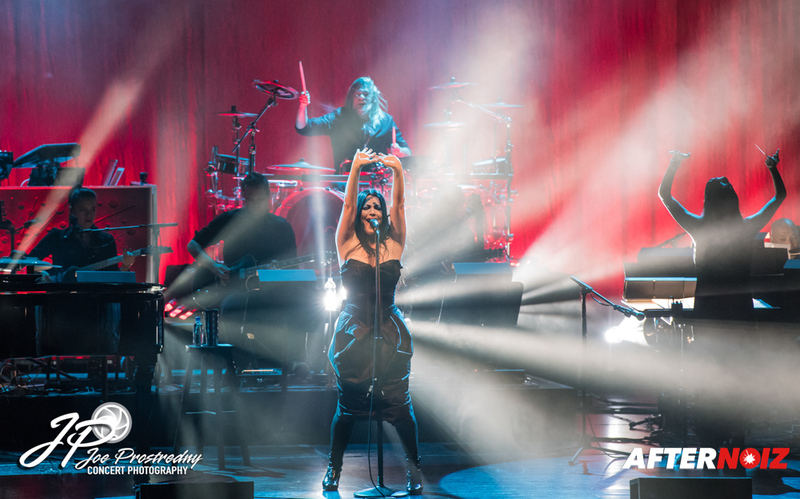 The show was a stunning 90+ minutes of incredible Nightwish music! 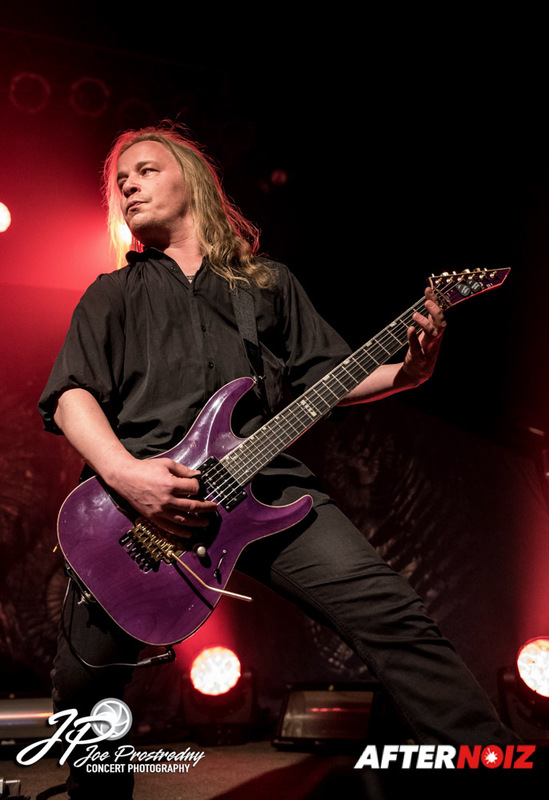 If you are a Nightwish fan, you need to catch this tour! 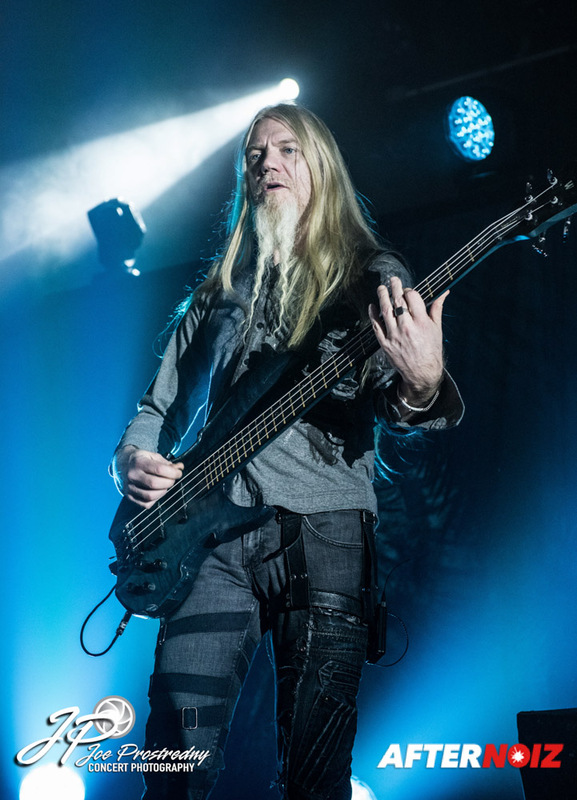 Not only is it a great show, but Nightwish will be wrapping up touring on this album this year, and there are no plans for touring or recording in 2017. Don’t miss out! !